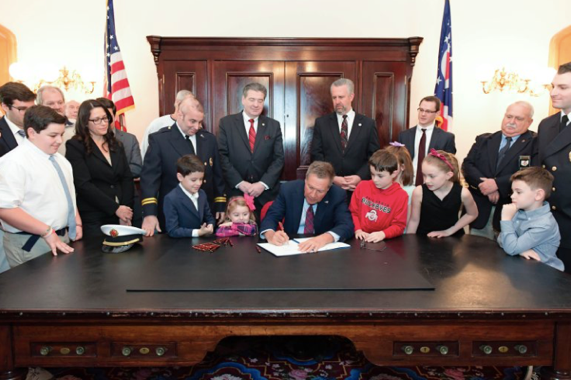 After working towards this law for over 20 years, today The Michael Louis Palumbo, Jr act (SB 27) goes into effect for Ohio Firefighters. A rule of law which permits a court to assume a fact is true until such time as there is a preponderance (greater weight) of evidence which disproves or outweighs (rebuts) the presumption. IARC is the specialized cancer agency of the World Health Organization. Uses skills in epidemiology, laboratory sciences and biostatistics to identify the causes of cancer so that preventive measures may be adopted and the burden of disease and associated suffering reduced. “( c) There is evidence that the firefighter incurred the type of cancer alleged before before becoming a member of the fire department. There is a 70 year cap to this law. It is assumed if you are diagnosed with cancer after the age of 70 it is from your age. Start keeping track of your fire exposures. Any information should be helpful (type of fire, fire phase, type of construction, age of structure, color of smoke, activities performed, PPE used, etc..) Having this information could be beneficial if you are diagnosed with cancer. If you retire you also need to keep this information for 20 years. Lawyer up! In order for your BWC claim to be done quickly and efficiently I suggest enlisting a BWC attorney. BWC attorneys do not need any money up front (they get paid after they win their case). Let an attorney handle it so you don’t have to stress about everything. Take care of yourself medically first. If the BWC process is taking too long, I suggest using your private insurance to obtain whatever treatments you need. You do not want your cancer to metastasize because your BWC claim is taking to long. You can always fight for BWC retroactively.